Former Champ Johny Hendricks Misses Weight For UFC OKC Fight With Tim Boetsch » MMA H.E.A.T. After failing to make weight three times as a welterweight, former UFC champ Johny Hendricks has missed the 185lb mark for his UFC Oklahoma fight with Tim Boetsch. He weighed in at 188lbs, two pounds over the limit for a middleweight non-title fight. The bout will move ahead as planned, though Hendricks will be fined 20% of his fight purse. 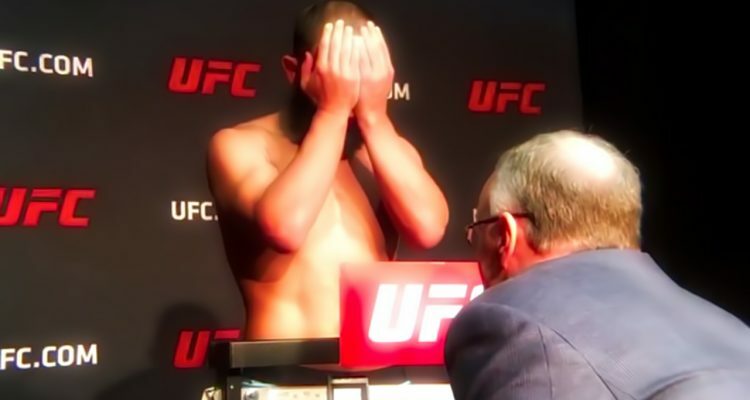 No Comments on "Former Champ Johny Hendricks Misses Weight For UFC OKC Fight With Tim Boetsch"